Our Lab is part of the Institute for Microbiology and Molecular Biology at the Justus-Liebig-Universität Gießen, a lively city in the centre of Germany with Germany's highest student to resident ratio. We are located at the Interdisziplinäres Forschungszentrum (iFZ), a Research Centre for Biosystems, Land Use and Nutrition. In addition, we have a number of national and international collaborations. 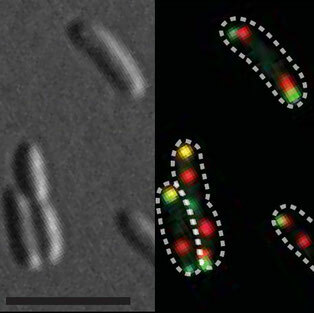 The bacterial flagellar motor is a highly intricate rotating molecular nanomachine. We are interested in the spatiotemporal regulation of flagellar assembly and the various aspects by which flagellar production and functions can be regulated. The cryotomographic image of the Shewanella putrefaciens polar flagella motor was kindly provided by the Beeby Lab. Numerous fundamental cellular processes in cells (including bacteria) require tight spatiotemporal regulation and coordination. We explore the mechanisms by which bacteria achieve appropriate spatiotemporal organization in particular at the cell pole. 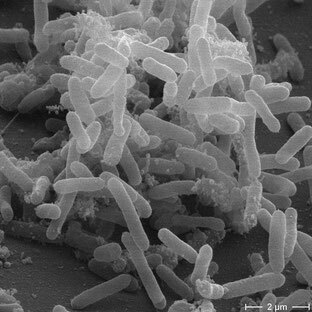 Most bacteria in nature will be found in surface-associated communities. We are interested in mechanisms of cell-surface and cell-cell interactions. 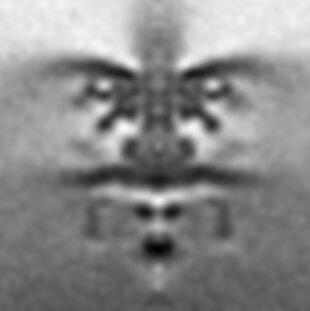 The EM image of a Shewanella oneidensis microcolony was taken by J. Gödeke and J. Berger at Tübingen. Interested in our work or in joining the Lab? Look here and here!